Jimmy the Gun: Apple Does It AGAIN!!!! I Could Cuss. iPhone 4 Signal Issues. Apple Does It AGAIN!!!! I Could Cuss. iPhone 4 Signal Issues. 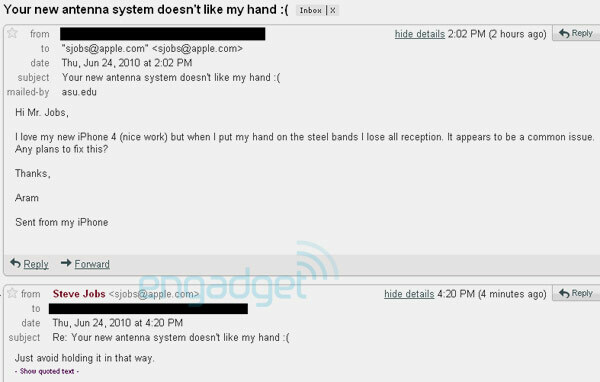 First of all, if you are an Apple Fanboy, don't bother commenting on this blog post unless it is to agree with me about the iPhone 4's faulty design. Now, how does a wealthy company, whose arrogance about doing things the right way by picking and choosing the best direction for the future (i.e. HTML5), design a phone with an antenna issue like the one of the iPhone 4? If you haven't already heard via the national news sources, the web, or someone you know who has purchased the iPhone 4, there is an issue with the antenna. If you hold the phone in your left hand and cover the lower left corner of the phone, you will lose signal strength, enough to drop calls or stop a download. The Unofficial Apple Weblog's (TUAW) Story here. And then, when Apple realize the issue with it (I'm sure during the R&D phase), they designed a bumper case, pretended during the announcement of the phone the external antenna design is revolutionary , and then Steve Jobs said, "Just don't hold it that way." The problem I have is that they obviously knew this was a defect in design before it ever came to market. The bumper case was out and leaked before the reveal, which is obviously an immediate fix for the antenna issue. Also, it's not like they were not testing the phone out in the wild (remember the Gizmodo story). This is the job of R&D. 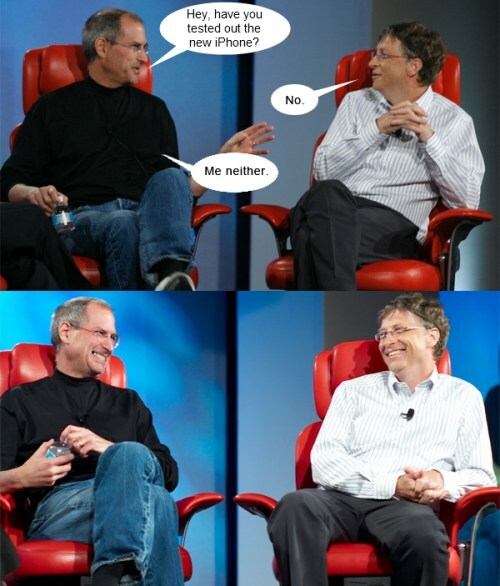 And Steve's horrible response via email is the best they were prepared with? Don't hold the phone the way you've always held a phone? This reminds me of the kind of crap Apple produced just before they almost went completely under, flawed products they refused to think were the result of their poor work. I'm no lawyer, but I see a class action suit hitting. And, although they can afford it and will probably end up issuing the bumper case as the fix to every purchaser, they could have avoided ALL of this bad press, the need to ship everybody cases, and a flawed design by fixing this in development. This is causing me to do further research into other phones. I've been reading posts about the HTC EVO 4G on Sprint. I've been watching all the evolutions of the Droid phone, knowing George Lucas wouldn't mind some more of my money (he has the rights to the name "Droid"). I've been thinking of dumbing down my information overload, maybe with an old flip phone. What's Nextel doing these days? LOL. I did love my iPhone for a while. But even now, with the iOS 4 update slowing my phone to a crawl, I don't know anymore. Apple forgets about their customers after their purchases are made. And now they hide a known issue until 1.5 million people give their hard earned money to the company. It's crazy. Just curious... do you have an iPhone 4? Not after all the bad press, my crippled 3G after installing iOS 4, and the hands-on experience I had with one at work Friday. Nope. Not sure it will ever be purchased by me. Well, I'm pretty happy with mine. I agree, the antenna thing is a bit disappointing, but in practice it hasn't been noticeable to me. I can reproduce the issue by contorting my hand a bit, but considering how I hold the phone normally, I don't think it'll be an issue for me. Anyway, my phones always feel a bit naked without a case (antenna issue or otherwise), so as soon as some decent ones come out, I'll get one, and that's probably the end of the reception issue for me. annoyances at this point. The retina display is probably my favorite thing about it. I could have lived with my 3GS for a good while longer if this new screen hadn't spoiled me. Anyway, check out an Evo.